Welcome to the intranet SCENE! 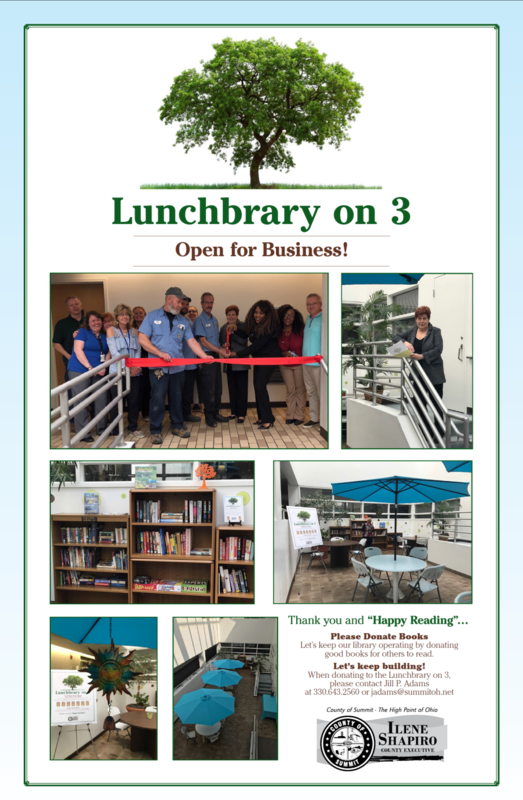 If you have interesting news about your office or just want to share a nice story about you, a family member or co-worker, we would love to post it on the SCENE to share with all County Employees. To send us information, click here. Click on flyer to see PDF file. Summit County Executive Ilene Shapiro premieres a PBS-produced short film about what makes Summit County unique! Click to view. 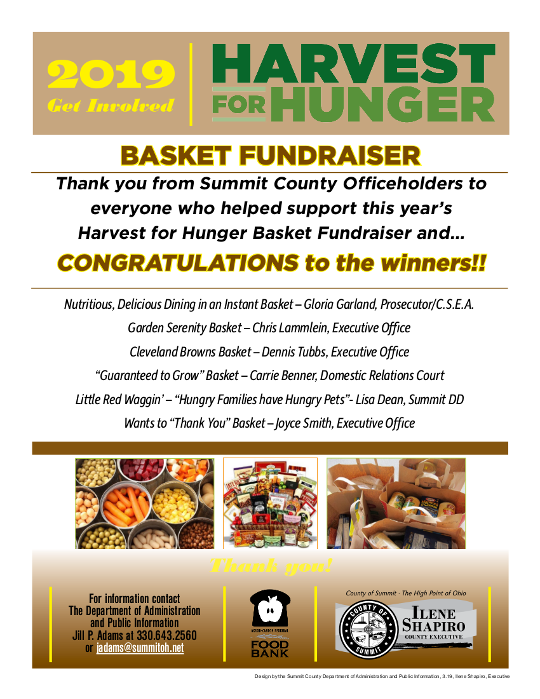 Click on flyer to see photos and basket contents. 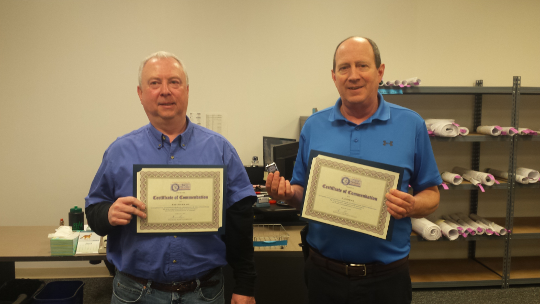 Congratulations to Larry Sutherland, Electrical Inspector, Summit County Executive Office, (L) and Mark Shenot, Chief Building Official, Summit County Executive Office, (R) for receiving a Certificate of Commendation for 10+ years of service to Summit County. and all evening, from 11:00 am – 9:00 pm. Check out the County Health & Wellness Event Calendar or get the latest H&W news and information. Get the motivation, tools, and know-how to take charge of what makes you happy and well.